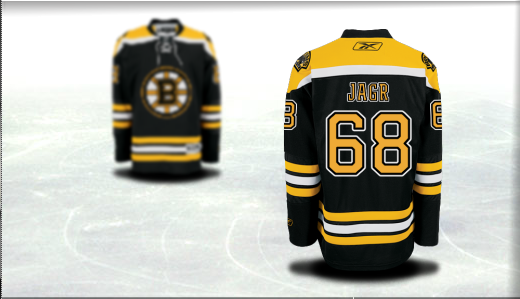 The Boston Bruins got their plan B in Jaromir Jagr, who has 36 points in 34 games with the Dallas Stars. Pittsburgh Penguins- The Penguins were the clear winners this week, picking up several veteran players to gear up for a deep run in the Stanley Cup Playoffs. The Penguins traded a defenseman and a fifth round pick to Dallas for veteran forward Brendan Morrow, who will anchor the Penguins third line and provide offensive prowess deep in the lineup. If that wasn’t good enough, the Penguins traded for 33-year-old defenseman Doug Murray of the San Jose Sharks the next day, and traded a 2013 first-round pick and two prospects to Calgary for their captain Jarome Iginla. The Penguins also added forward Jussi Jokinen from Carolina for a late round pick. If Sidney Crosby, Evgeni Malkin, and James Neal didn’t have enough offensive talent, the Penguins added much more in the past week, and are primed to make a deep run. Boston Bruins- Another team set for a deep run in the Stanley Cup Playoffs is the Boston Bruins. Yesterday, they traded two forwards and a conditional draft pick to Dallas for 41-year-old veteran winger Jaromir Jagr. A top-ten all time scorer, Jagr immediately brings experience, leadership, and offensive presence to an already deep Bruins squad. To add depth to the blue line, the Bruins added veteran defenseman Wade Redden, who they acquired from the Blues for a seventh round draft pick. Redden will be reunited with former Montreal teammate Zdeno Chara, who now captains the Bruins, and led Boston to the 2011 Stanley Cup. Columbus Blue Jackets- Invigorated by the strong play of goalie Sergei Bobrovsky, the Blue Jackets also made some deadline moves. They shipped backup goalie Steve Mason to Philadelphia for a draft pick and goalie Michael Leighton, also acquiring forward Blake Comeau from the Calgary Flames. But the Jackets also made the biggest move at the trade deadline, acquiring right-winger Marian Gaborik from the New York Rangers in exchange for three prospect players and a third round draft pick in 2013. Gaborik scored 40 goals last year on Broadway, and will give the Blue Jackets a superstar forward to build around (they traded long time captain Rick Nash to the Rangers last summer). The Blue Jackets haven’t made the playoffs since 2009, but with the addition of Gaborik, who has had his work ethic come into question, look for Columbus to be around come May.